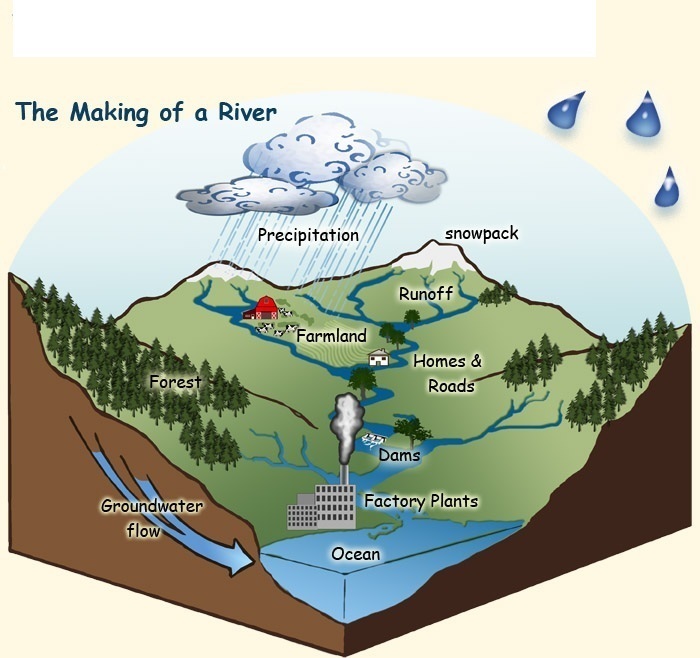 A watershed is an area of land on which water, as rain or snow, accumulates and drains to a common point. Everything that happens in a watershed has an effect on the quality of the water. Water usually enters the watershed in the form of precipitation. 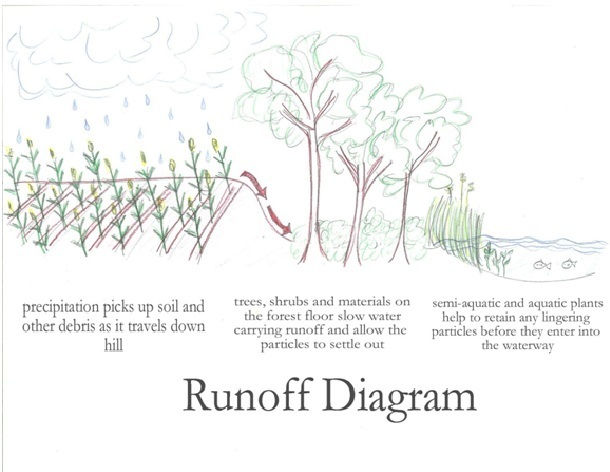 Water trickles down into small streams and creeks called headwater streams. The water that finds its way into headwater streams picks up anything that can be dissolved into or carried off by water including pesticides, fertilizers, household and industrial chemicals and anything else that can be washed away. These materials often find their way into streams and eventually into rivers, lakes and other source water areas. 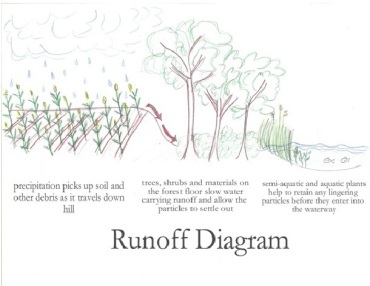 Wooded areas are vital to water quality in any watershed as they act like a natural filter. Forests and other natural areas slow down water and allow the materials that were picked up in the water’s trip to a stream or river to settle or filter out before it enters into larger waterways. The City of Akron works diligently to keep the watershed in as pristine condition as possible to maximize this natural filtration effect for a clean Upper Cuyahoga River Watershed. Akron’s efforts for watershed monitoring and preservation benefit not only the quality of the drinking water for the people of Akron, but also the preservation of natural areas in the Upper Cuyahoga River watershed for all to enjoy. Why Does Akron Own Land In The Watershed? 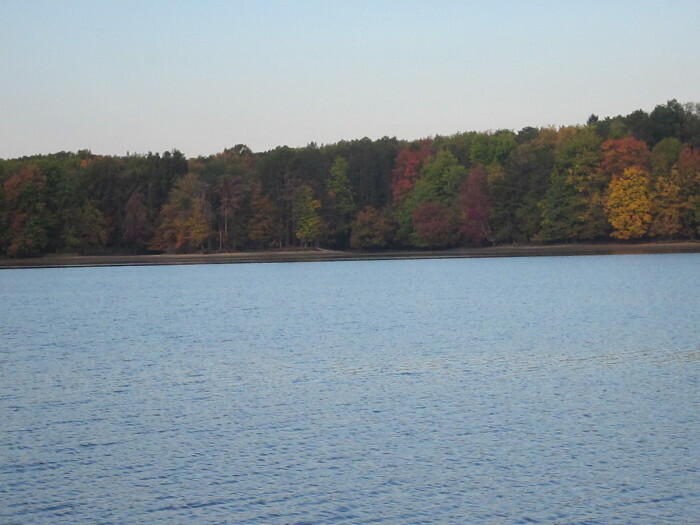 Since the construction of Lake Rockwell Reservoir, the City of Akron has taken proactive steps to protect the quality of the Upper Cuyahoga River, the source of Akron’s drinking water for the last 100 years. 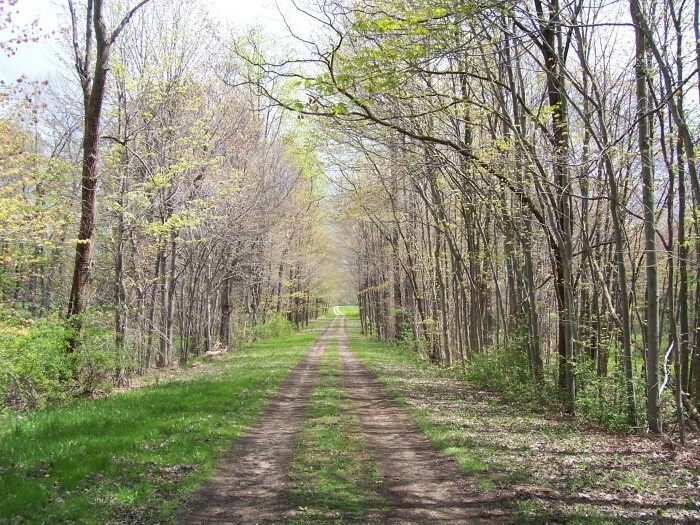 Akron owns about 33% of the land surrounding the Cuyahoga River in Portage and Geauga County and keeps this land natural and undeveloped. This helps to keep the river as natural and pristine as possible for future generations while providing high quality water for Akron’s customers. Akron also owns parcels that surround each of the reservoirs in the source water system. These parcels of land are also left as natural as possible and which allows them to act as a pollution buffer by slowing the storm water runoff and preventing pollutants from entering into waterways.